Sorey M.L., Suemnicht G.A., Sturchio N.C., Nordquist G.A. Data collected since 1985 from test drilling, fluid sampling, and geologic and geophysical investigations provide a clearer definition of the hydrothermal system in Long Valley caldera than was previously available. This information confirms the existence of high-temperature (> 200°C) reservoirs within the volcanic fill in parts of the west moat. These reservoirs contain fluids which are chemically similar to thermal fluids encountered in the central and eastern parts of the caldera. The roots of the present-day hydrothermal system (the source reservoir, principal zones of upflow, and the magmatic heat source) most likely occur within metamorphic basement rocks beneath the western part of the caldera. Geothermometer-temperature estimates for the source reservoir range from 214 to 248°C. Zones of upflow of hot water could exist beneath the plateau of moat rhyolite located west of the resurgent dome or beneath Mammoth Mountain. Lateral flow of thermal water away from such upflow zones through reservoirs in the Bishop Tuff and early rhyolite accounts for temperature reversals encountered in most existing wells. Dating of hot-spring deposits from active and inactive thermal areas confirms previous interpretations of the evolution of hydrothermal activity that suggest two periods of extensive hot-spring discharge, one peaking about 300 ka and another extending from about 40 ka to the present. The onset of hydrothermal activity around 40 ka coincides with the initiation of rhyolitic volcanism along the Mono-Inyo Craters volcanic chain that extends beneath the caldera's west moat. Sorey M.L., Suemnicht G.A., Sturchio N.C., Nordquist G.A., 1991. New evidence on the hydrothermal system in Long Valley caldera, California, from wells, fluid sampling, electrical geophysics, and age determinations of hot-spring deposits. (1991) Journal of Volcanology and Geothermal Research, 48 (3-4), pp. 229-263. Define the ground water system, determine the low flow characteristics of streams in the area, evaluate the relation between ground water and surface water. 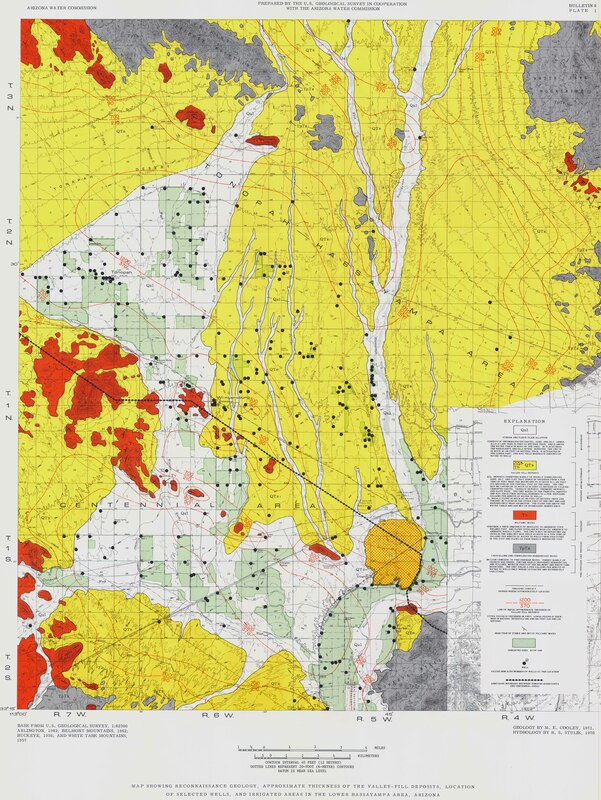 Maps, graphs, chemical analyses, drillers' logs. Owen-Joyce, S.J. and Bell, C.K. 1983. 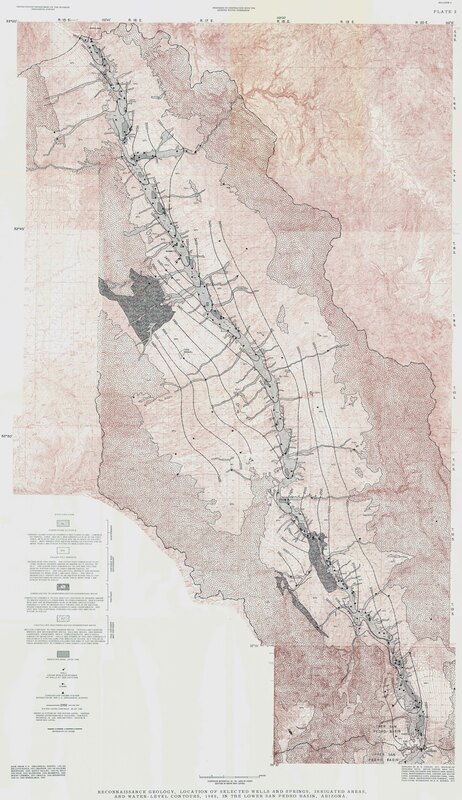 Appraisal of Water Resources in the Upper Verde River Area, Yavapai and Coconino Counties, Arizona: Arizona Department of Water Resources, Phoenix, Arizona Depart of Water Resources Bulletin 2, 219 pp. Determine the occurrence, availability, and chemical quality of the ground water, and to identify the uses of the water. 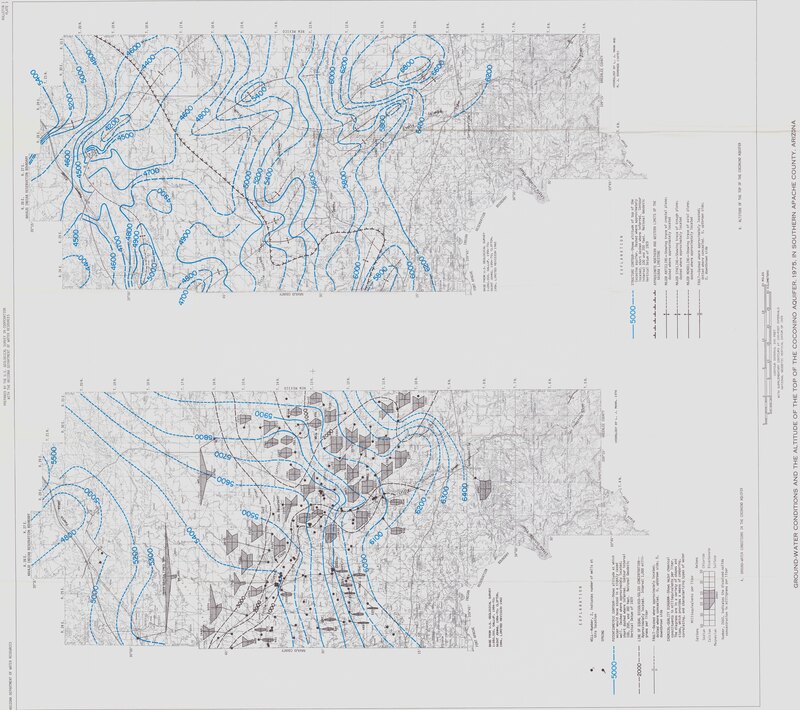 Maps, tables, chemical analyses, drillers' logs. Mann, L.J. and Nemecek, E.A. 1983. 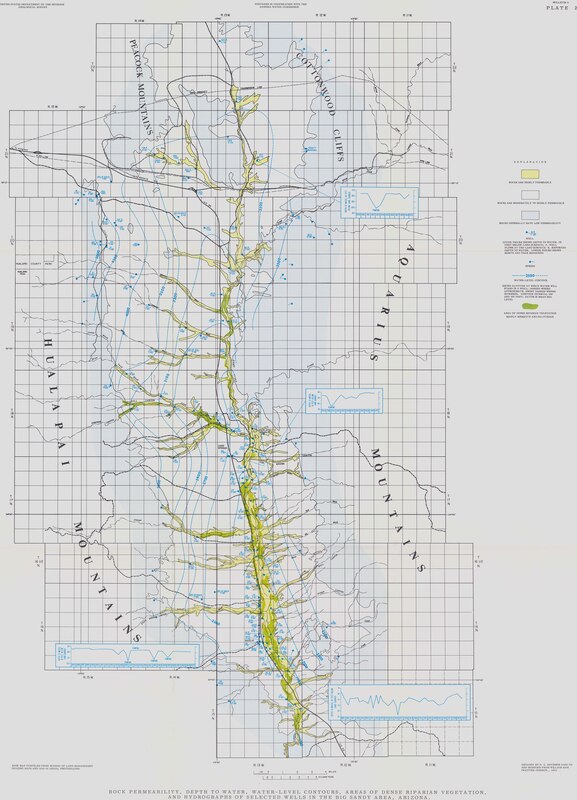 Geohydrology and Water Use in Southern Apache County, Arizona: Arizona Department of Water Resources, Phoenix, Arizona Depart of Water Resources Bulletin 1, 86 pp. 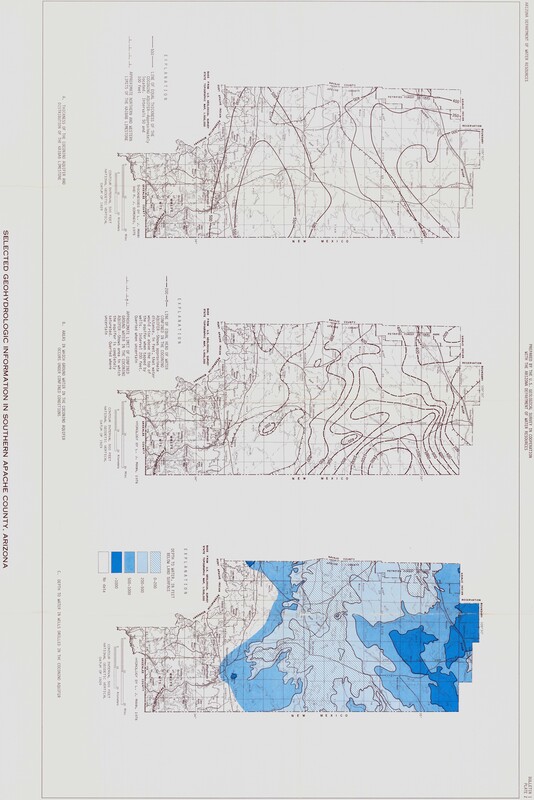 Water Resources in the Sedona Area, Yavapai and Coconino Counties, Arizona. Determine the availability and chemical quality of the ground water in the Sedona Area, to delineate the main areas of recharge to and discharge from the regional aquifer. Maps, graphs, tables, drillers' logs, chemical analyses. Levings, G.W. 1980. 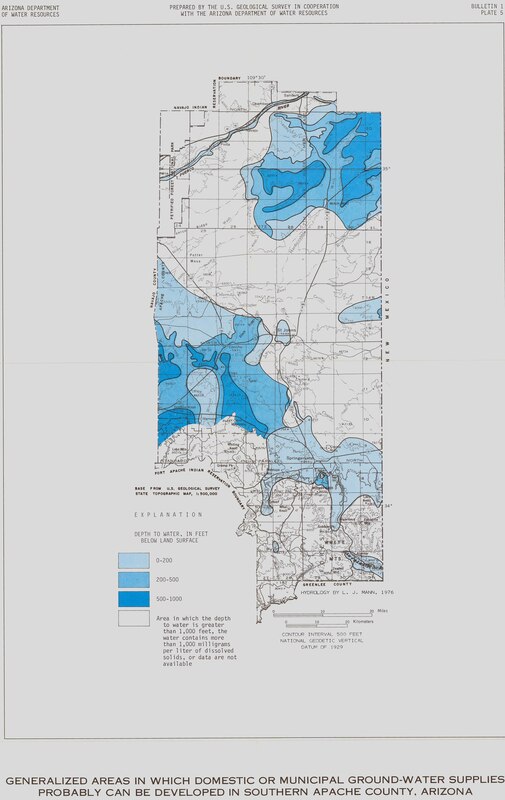 Water Resources in the Sedona Area, Yavapai and Coconino Counties, Arizona. Arizona Water Commission, Phoenix, Arizona Water Commission Bulletin 11, 37 pp. Determine the availability, chemical quality, and the use of water and to identify the possible sources of pollution of the shallow ground water in the southern Navajo County. 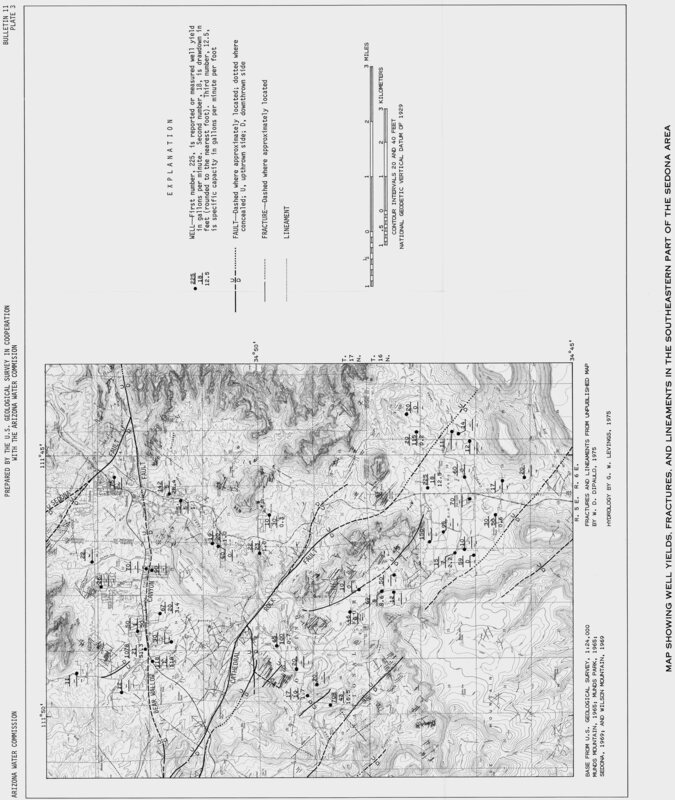 Maps, tables, drillers' logs, chemical analyses. Mann, L.J. 1976. Ground Water Resources and Water Use in Southern Navajo County, Arizona: Arizona Water Commission, Phoenix, Arizona Water Commission Bulletin 10, 106 pp. Stulik, R.S. 1974. 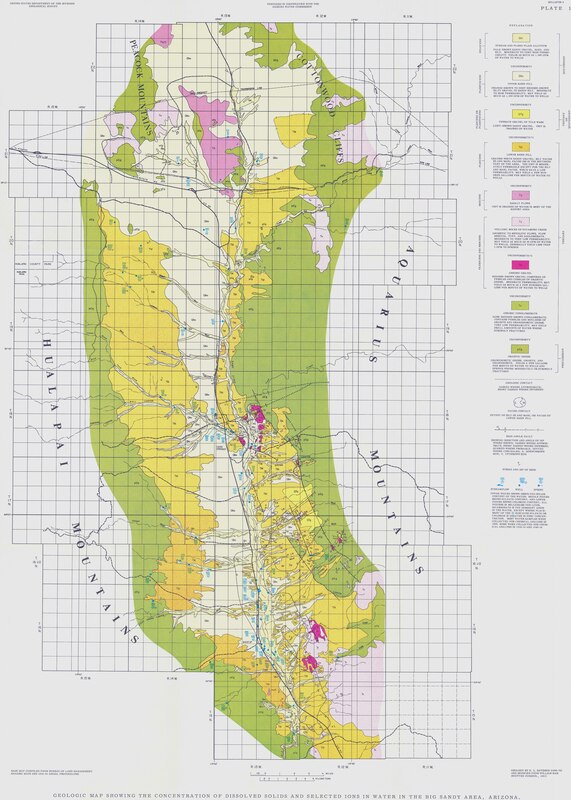 Ground Water Conditions in the Lower Hassayampa Area, Maricopa County, Arizona: Arizona Water Commission, Phoenix, Arizona Water Commission Bulletin 8, 52 pp. Denis, E.E. 1971. Ground Water Conditions in the Harquahala Plains, Maricopa and Yuma Counties, Arizona: Arizona State Land Department, Phoenix, Water Resource Report 45, 44 pp.